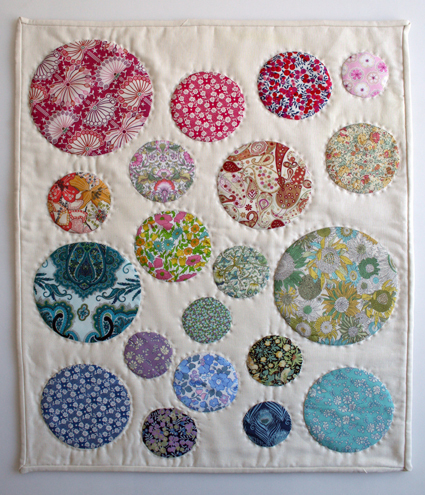 Such a simple idea, appliqueing circles of fabric onto an easy quilt, and graphic enough for a big effect. Loves it. Want to make. Hurry up sewing machine repair man!! Oh, that's Liberty of London fabric, isn't it? It's so cute! But, you don't need a sewing machine yet, you can just do needle-turn appliqué.